SELF-CATERING AT 6 WATER LANE, LERWICK. Sleeps 4 to 6. One Twin Room, One Bunk Bedded Room and Two Extra Fold-Down Beds. 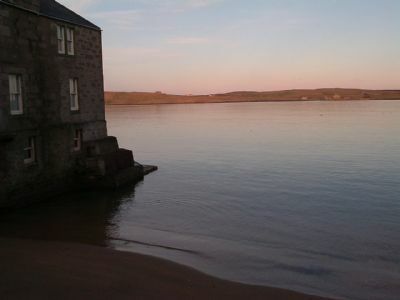 The flat has an outstanding view over the water to Bressay. When cruise ships call in at Lerwick it can almost feel Mediterranean! 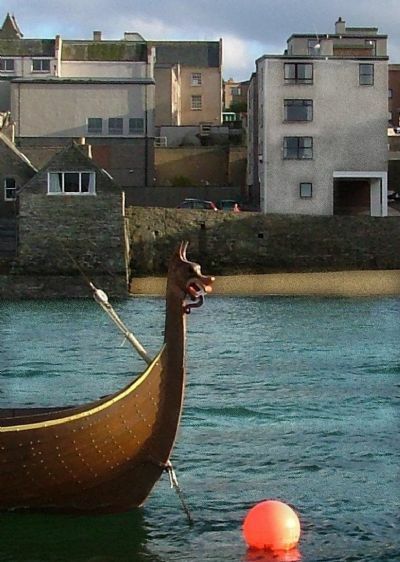 Lerwick's culture and history are all around.